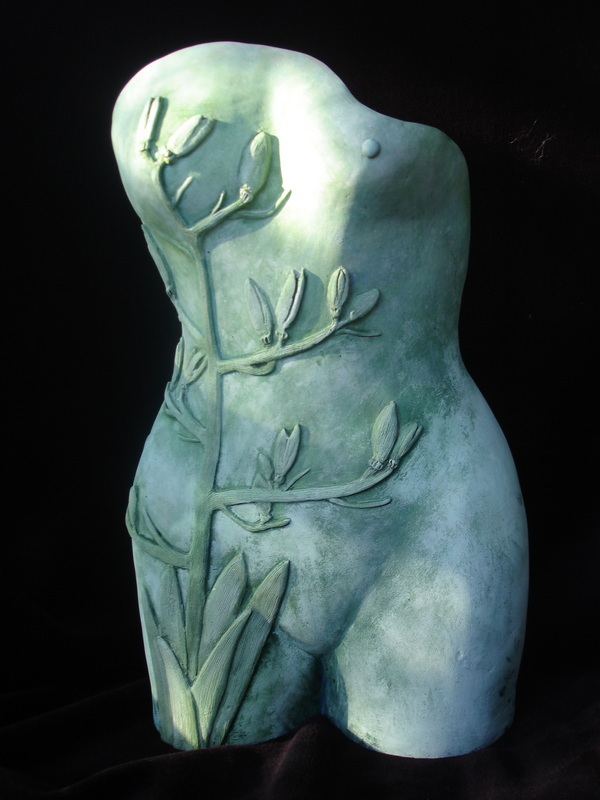 This terra-cotta body has a simple paint finish that emphasizes and enhances the natural texture of the fired clay. It was important to keep the balance between the two elements, the female torso and the applied flax. Hopefully both are still apparent in this finish and blend together to give a balanced and harmonious whole.